We, Amanda and I, spend a great deal of our time on social media. Amanda has been on Twitter both personally and professionally since 2009, so it makes sense that we’d recognize it as a place to go for some great information on travel. You just have to be cautious; unfiltered information from other people who enjoy travel is great, but can be unreliable. We’ve decided to come up with a handful of handles of people we follow and trust for good travel advice. Sherry Ott @ottsworld: We’ve followed Sherry and are always amazed at the variety of places she tweets and writes about. She describes herself as “A corporate American runaway traveling the world solo without a home since 2006. I tweet my travel experiences, epic adventures, & travel tips. Lover of coffee.” Her blog is called Ottsworld Travel Blog. Dave & Deb @theplanetd: We are honestly envious of their blog. Dave and Deb are full-time bloggers and adventures and have a similar mission to No Kids, Will Travel. The advice and narratives they post are excellent. Dave and Deb describe themselves as “… an adventure couple who live by the motto ‘Adventure is for Everyone.’ Over the past 8 years we have made it our mission to inspire people to step out of their comfort zones and prove that you don’t have to be an uber-athelete, adrenaline junkie, or part of the ultra rich to be an adventurer. All you need is the desire. So whether you want to be inspired, motivated, or just read great stories we can help.” Their blog is the planetD and is packed with a lot of great information. Rough Guides @RoughGuides is the biggest member of this group. The Rough Guides were started by Mark Ellingham, with Rough Guide to Greece published in 1982. His goal then was to find a middle ground between the guidebooks that focused on super-saver student travel and the in-depth cultural studies. 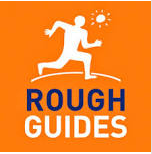 The Rough Guides are currently owned by Penguin Random House but have remained true to their origins. The Rough Guides make this list because of their travel chat on Twitter #RGchat held every Tuesday at 6 a.m. Eastern. The website Rough Guides is packed with information on more than 200 destinations. Georgette Jupe @girlinflorence: We love Gorgette Jupe for obvious reasons if you follow this blog. She is a blogger based out of our favorite city, Florence, Italy. Her posts are always accompanied by beautiful pictures and that is enough of a reason to follow her. 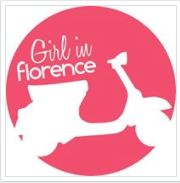 Her blog is even better, filled with professional reporting on Florence and Italy as a whole. The biggest thing you take from her writing is her love for Florence. She describes herself as someone who loves to travel, loves people and wine while curiosity is her drug of choice. We hope you have time to follow these handles on twitter and take a look at their blogs as a way to feed your international curiosity.